With a toddler who eats everything (and I mean everything) with her hands because it's faster than using a fork or spoon, poutine is a food we have yet to let her try. But I love poutine. Especially poutine with Montreal Smoked Meat. Yum. 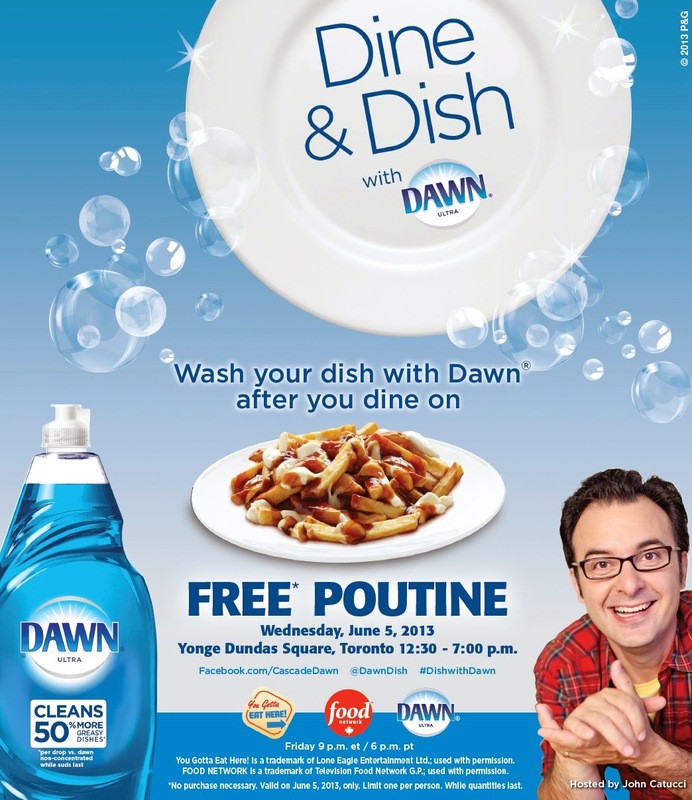 If you'll be downtown Toronto on Wednesday, June 5 you should check out the Dine & Dish with Dawn in Yonge-Dundas Square. You can RSVP to the event on Facebook by clicking here.